Youth Representative Training with the Tourette Alliance! 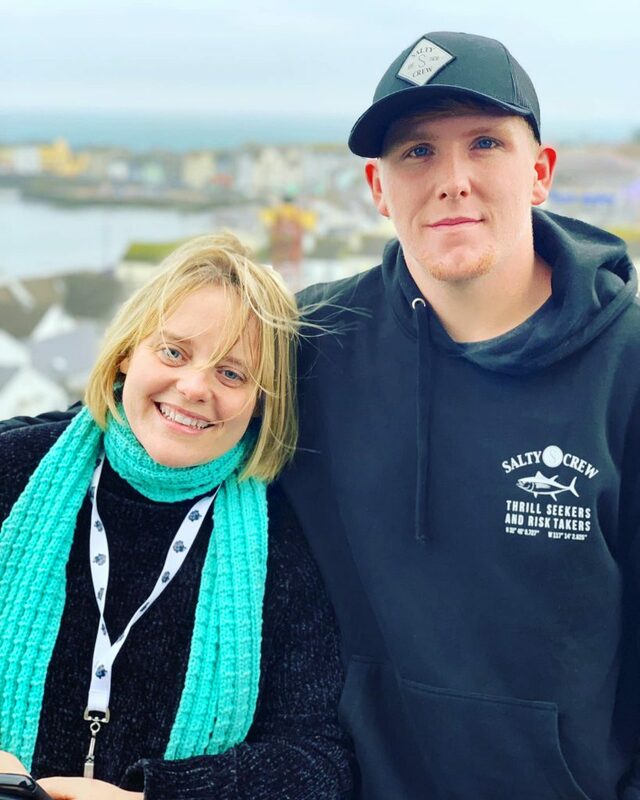 Tourette Alliance Youth Advisor Connor Harrington and Board Chair Suzanne Lavery take in the sights of Donaghadee during a day of Youth Representative support and training! The Tourette Alliance Youth Representative Program is designed to educate teens and young adults as they develop the skills they need to comfortably and confidently speak about Tourette Syndrome and Tic Disorders in public, at school or camp or in any setting where there is the need for increased awareness and advocacy. Becoming a Youth Representative can teach skills that will last into adulthood; practicing organizational skills, learning how to set goals and planning how to effectively achieve them, working with other Youth Representatives and adults as a team and practicing public speaking. Participating in the Youth Program goes beyond encouraging simple self-confidence; it empowers teens and young adults to reach their full potential, providing them a safe space to develop a true understanding of Tourette Syndrome while showing them that they should feel comfortable communicating their needs without fear or shame. We ask that those interested in becoming Youth Representatives are between the ages of 12-22 and that they become members of the Tourette Alliance. We also ask that your parent or guardian participate as well in order to facilitate outreach. Youth Representatives don’t have to have Tourette Syndrome or a Tic Disorder themselves – it can be your sibling, your cousin, your friend or even something you feel strongly about for other reasons; anyone can become a Youth Representative and help spread awareness! Contact us at info@tourettealliance.org for more information on how you can help raise awareness for Tourette Syndrome and its Associated Disorders!! Hi Karla, thank you for your interest–please reach out to us at info@tourettealliance.org and we can reply with further information on the Tourette Alliance Youth Representative Program!